The Jim Henson company has signed a raft of new partners for its CGI animated series Splash and Bubbles. The series is co-produced with Herschend Studios and currently airing in the US on PBS KIDS. MBC GROUP, has secured basic cable and satellite rights to Splash and Bubbles in the Middle East and North Africa (MENA) Region through MBC3, as well as worldwide Arabic language rights. 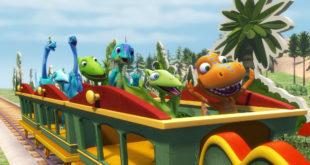 Netflix has acquired global streaming rights, Fox Latin American Channel LLP has secured rights for Nat Geo Kids and POD Worldwide has acquired free TV rights for Thailand. Canadian public broadcasters TVO (Ontario) and Knowledge Network (British Columbia) acquired the broadcast rights to the series earlier this year. “The Jim Henson Company name is synonymous with quality entertainment, and Splash and Bubbles continues that legacy, meeting the needs of traditional and digital media partners around the world,” commented Ian Lambur, management consultant, The Jim Henson Company. 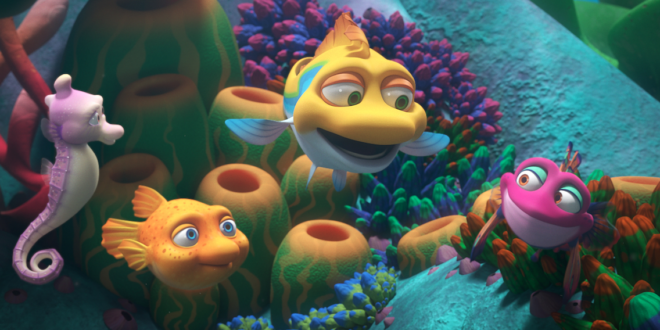 Developed with an advisory panel of top marine biologists, digital media innovators and preschool educators, Splash and Bubbles is produced using the Emmy Award-winning Henson Digital Puppetry Studio, a proprietary technology from Jim Henson’s Creature Shop that allows puppeteers to perform digitally-animated characters in real-time, enabling the animation to be more lifelike and spontaneous.